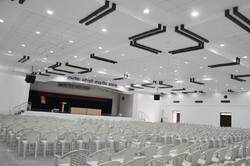 Offering you a complete choice of products which include linear false ceiling system, false ceiling services, false ceiling system, torsion spring metal ceiling systems, hook on metal ceiling systems and 84mm lineal metal ceiling systems. 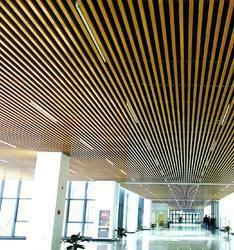 We are specialized in providing False Flooring Services of different materials to our clients. We offer them best flooring designs and solutions that are trendy and forever in fashion. 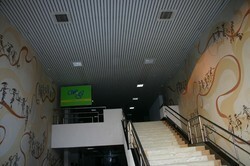 Clients have the option to choose the design of their choice. Our range of false flooring is available in various sizes suitable for domestic and commercial use. 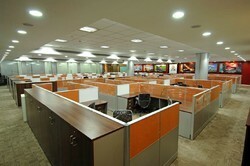 We provide fix false flooring in the computer room, offices, main halls etc. 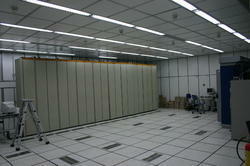 This allows swift installation, minimizing the need for joining the panels. A simple hook-shaped tool can be used to remove and replace the panels. This allows easy and full access to the plenum. 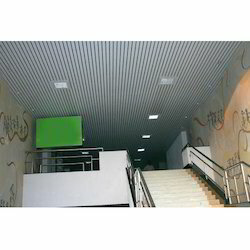 Perforated panels with a non-woven textile membrane bonded to the inside face are used to achieve optimal acoustical control for meeting rooms, offices etc. 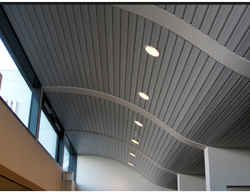 Together with aluminum carriers, aluminum panels can be used to create exterior ceilings. 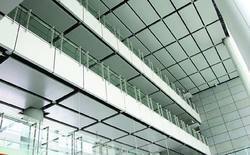 The joint- flange can be executed with a rectangular perforation for ventilation purposes. 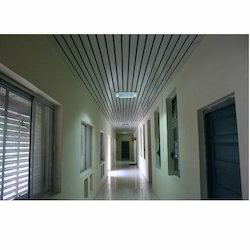 This ceiling is ideal for places that stress on hygiene because of the absence of dust retention and ease of cleaning. 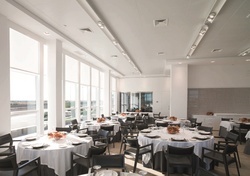 This ceiling system is easy to demount from panels which are installed on a visually hidden suspension system. A simple hook-shaped tool can be used to remove and replace the panels. 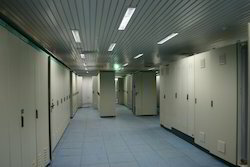 This allows easy and full access to services and installations in the plenum. 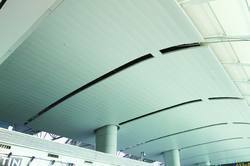 Allows for both flat and curved panels to swing down from the ceiling plain, thus making maintenance easier for weighted ceiling applications. 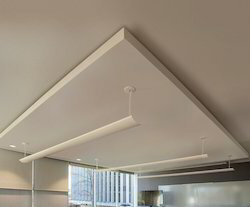 Decorative Ceiling Systems is to enhance the beauty of any type of ceilings, we offer an attractive range of false ceiling systems.